The leading thinkers in Jewish education today analyze current practices, reflect on the social and psychological aspects of Bar/Bat Mitzvah, provide examples of programs to replicate, address concerns of those with special needs, outline creative family education opportunities and successful mitzvah programs, and provide strategies for teaching trope. Fifty chapters written by cantors, rabbis, directors of education, and scholars. 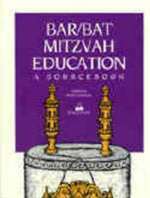 Results of a survey of Bar/Bat Mitzvah educators included.